Diversity within rural areas renders rural–urban comparisons difficult. 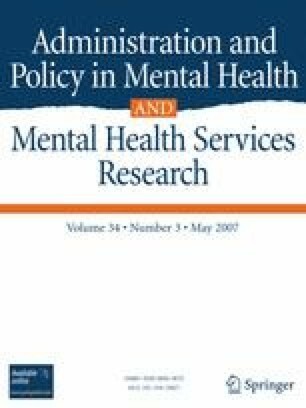 The association of mental health treatment rates with levels of rurality is investigated here using Rural–Urban Continuum Codes. Data from the 1996–1999 panels of the Medical Expenditure Panel Survey are aggregated to provide annual treatment rates for respondents reporting mental health problems. Data show that residents of the most rural areas receive less mental health treatment than those residing in metropolitan areas. The adjusted odds of receiving any mental health treatment are 47% higher for metropolitan residents than for those living in the most rural settings, and the adjusted odds for receiving specialized mental health treatment are 72% higher. Findings suggest rural community size and adjacency to metropolitan areas influence treatment rates.